Who They Are: A luxury automaker like no other. The pinnacle of bespoke. Rolls-Royce has a significant presence at Monterey’s annual Car Week. From a weekend of luxe hospitality at what has become known as the “Rolls-Royce Villa,” to a stage buildout at The Quail Motorsport Gathering, and a hospitality suite as well as concept lawn displays at the Pebble Beach Concours D’Elegance, the brand presence is only reinforced by the extensive fleet of cars cruising the streets the whole week. The challenge comes in elevating the experience as only Rolls-Royce could, and evolving towards a younger target audience by keeping the experience fresh, evocative and elevated. Every year thousands of car enthusiasts and car brands flock to Monterey, California to experience car week. 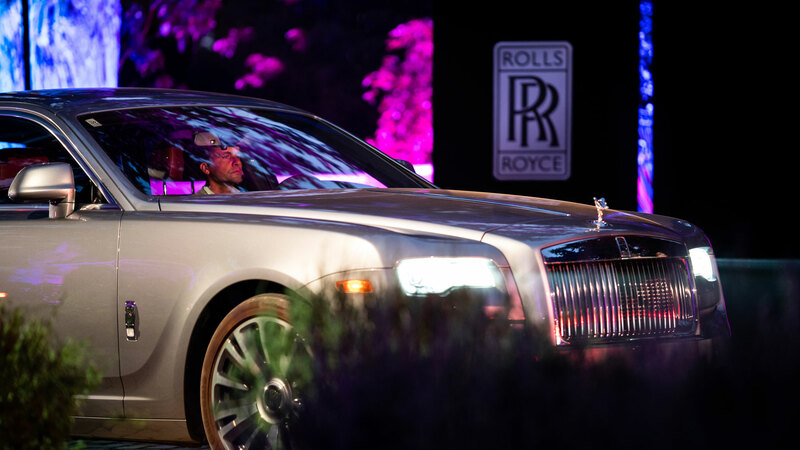 Rolls-Royce is no exception to the rule, and each year the automaker comes out en force to showcase the latest offerings and entertain their top tier clients. 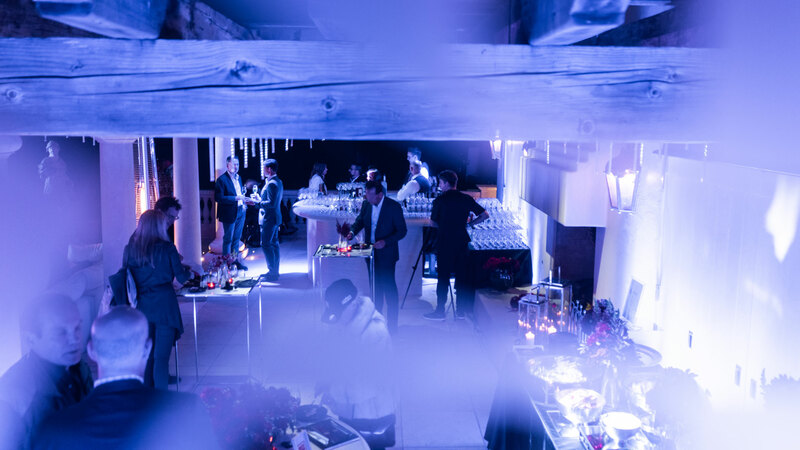 For four days, Rolls-Royce hosts daytime hospitality, during which time prospective clients are encouraged to test drive the vehicles of their dreams, have a light meal, or simply take in the views while sipping a glass of champagne at the RR Villa. The brand participates in The Quail Motorsport Gathering – a one day event at The Quail Lodge where all the top automakers display their newest offerings. 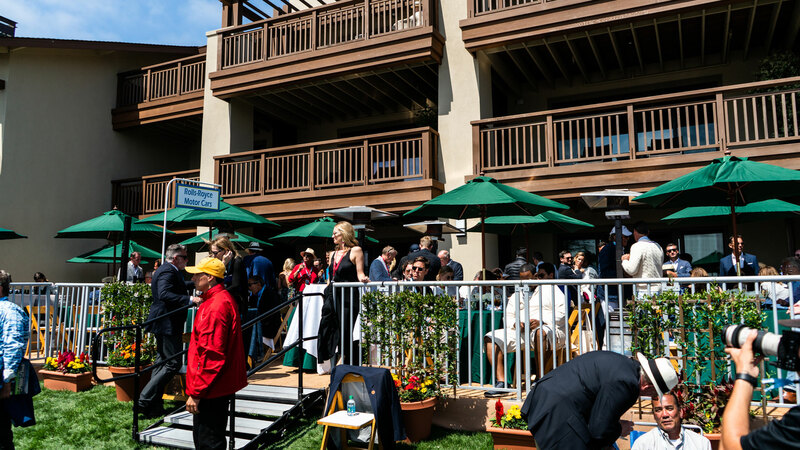 Closing out the week, Rolls-Royce opens their hospitality suites at the Pebble Beach Concours D’Elegance; Where the famous golf course is taken over by classic collector cars, as well as newer offerings on the Concept Lawn. 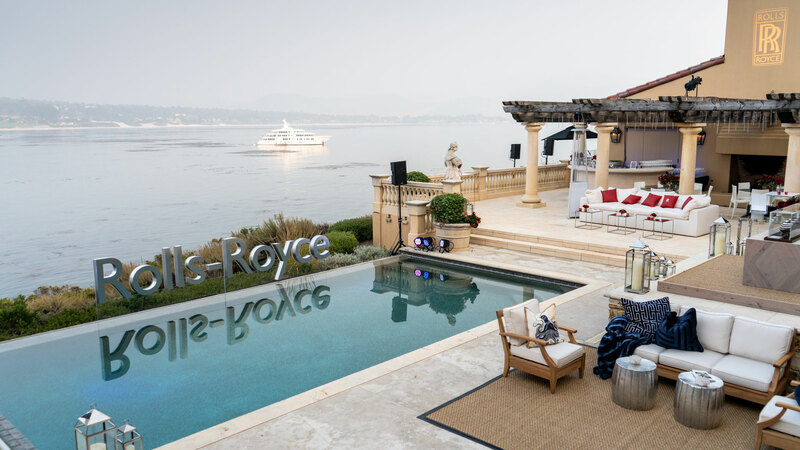 For the 2017 and 2018 years, Rolls-Royce had rented what has become know as the RR Villa – a stunning property on 17 Mile Drive, with sweeping views of Monterey Bay and the Pebble Beach Golf Links. Over the course of a few days the Villa is transformed from a Mediterranean hideout to the hottest location on the peninsula. All furniture and artwork is removed from the house, and Rolls-Royce moves in. The main room is the grand entrance moment; here guests are encouraged to sign up for a test drive, or to grab a quick bite to eat. From 2017 to 2018 the format was shifted from formal sit-down areas to casual quick bite stations interspersed with lounge seating with great success. The built in wardrobe which is part of the house is masked out by prominent Rolls-Royce branding, which took the form of an illuminated starlight wall in 2017, and a full-width video screen in 2018. The library, just off the main room, becomes a lounge and after sales accessories display room. The kitchen serves up a mean cappuccino, and three bedrooms are taken over by affiliate partners. Then you step out onto the terrace, which is the most magical part of the whole experience. The terrace is a lounge area by day, and the life of the party at night. With stunning views and fresh ocean air, a pool-side bar, and an interactive video screen that lets you become the Spirit of Ecstasy it has something for everyone. As we all know, the devil is in the details. Every detail in the Villa was carefully considered. The color palettes were reflective of the hero cars; Belladonna Purple and Gunmetal Grey in 2017, and Magma Red and Tungsten in 2018. These become the accents that stay in the mind of the guest. Upon arrival they are greeted with a red car, and by the pool they sip their signature red cocktail. Branding is strategically placed all through the house. 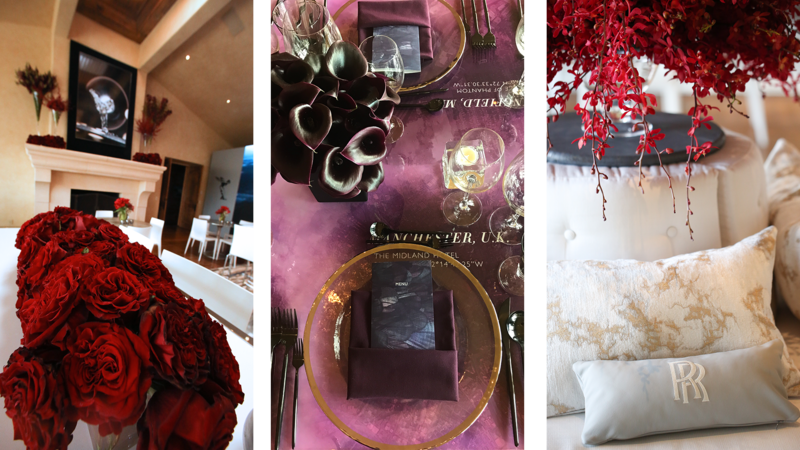 From frosted window decals, to the placement of stunning Rolls-Royce photography, and Rolls-Royce branded candles and pillows – you can never forget who’s house you’re in. Of course with something this stunning, you have some amazing photo opportunities – and we branded these too! Sizable 3D lettering was created to sit just on the edge of the infinity pool, and the RR lockup floated seemingly like magic just off the bannister on the terrace. 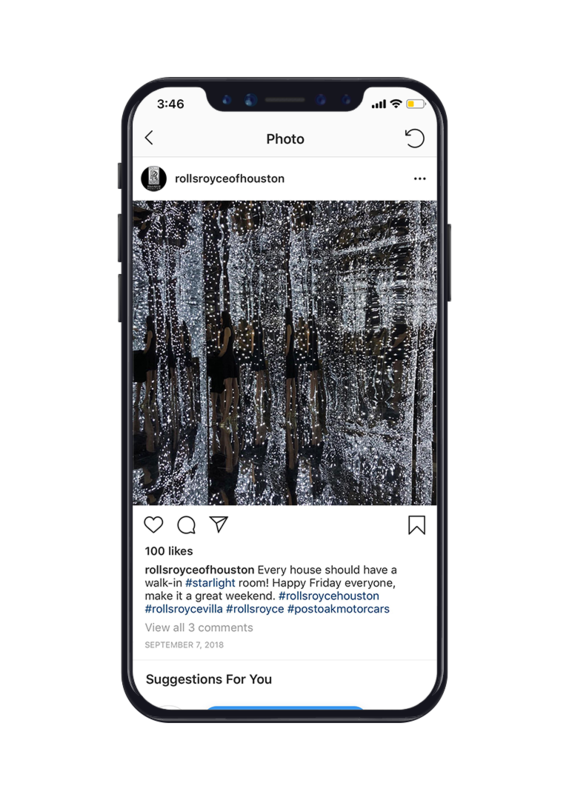 In 2018 an infinity room was added to the buildout. A reflective shimmering palace reminiscent of the star headliner (the illuminated LED constellations you can have put in the roof of your Rolls-Royce car). The drive at the villa was the first and last impression a guest had of the Rolls-Royce experience. As such it had to be a show stopping presentation. In 2017 a custom curved wall was manufactured to fit on the drive, it’s designed specifically to showcase two cars, the Phantom VIII in 2017, and the first ever Rolls-Royce SUV – The Cullinan in 2018. The drive is then accented by dramatic lighting, pillar candles, and in 2018 the addition of a modular wall to add a Phantom to the display. The Quail pulls out all the stops when it comes to car displays. In 2017 a custom backdrop was fabricated with front and back graphics to launch the Phantom VIII – additionally this backdrop became part of the Phantom launch tour that took the display cars around the country. 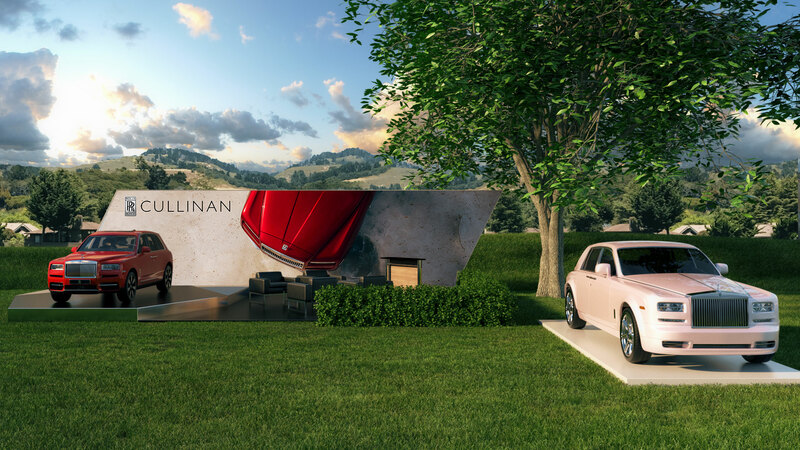 In 2018 the wall came back, this time the graphics were revised to speak to the Cullinan. The stage was also redesigned, from a classic ‘T’ shape to a design which featured an inlaid diamond under the car – a subtle reference to the namesake Cullinan. Wrapping up the week, Rolls-Royce heads over to the Coucours D’Elegance, where they usually have a car displayed on the concept lawn, and two hospitality suites that are open to selects guests for drinks and food.